A small specialty grocery store and a handful of retail offerings will be coming to the intersection of Walt Banks Road and Ga. Highway 54 in Peachtree City. The Peachtree City Planning Commission on a 4-0 vote approved the conceptual site plan for a grocery store, initially identified in official papers as Sprouts Farmers Market, and retail center at the April 13 meeting. Planning commissioners heard an informal presentation on the Sprouts Farmers Market project in March. 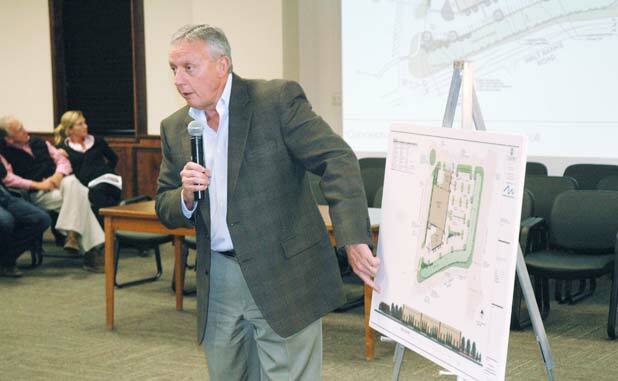 Though only a workshop discussion item that did not include a vote, Mirabeland Investments President Terry Taylor presented a concept plan for the retail center that would include a 30,060 sq. ft. specialty grocery store and 12,554 sq. ft. of additional retail space in two buildings designed to accommodate several small shops and restaurants. Though Sprouts Farmers Market was originally listed as the grocery store to occupy the space, Taylor noted previously that he was only the developer for the project and was not representing Sprouts. The 4.71-acre site is zoned LUC 16 (limited use commercial) and is situated at the intersection of Walt Banks Road and Hwy. 54. The site abuts Finance Way and Lexington Circle. Access to the property would be from Lexington Circle and Finance Way. Commenting on the proposal, Senior Planner David Rast said the site comes with 50-foot buffers along Hwy. 54 and along Walt Banks Road. Among the items included in the approval were the provision for 200 vehicle parking spaces and 22 parking spaces for golf carts. The buildings will include exterior features such as brick and stucco. 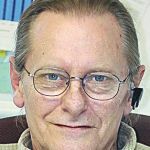 Senior Planner David Rast said the distance of the retail site from McIntosh High School and Holy Trinity Catholic Church meets ordinance requirements for the sale of wine and beer. Rast previously noted that several developments had been proposed for the site in past years though none of those had come to fruition. The conceptual site plan approval came on a 4-0 vote. Commissioner Aaron Daily did not attend the meeting. Next up for the project will be the presentation of the landscape plan. Sprouts Farmers Market operates full-line grocery stores. Headquartered in Phoenix, Sprouts operates in 12 states and has five stores in Georgia, all of which are in northeast metro Atlanta.